BE OUR MARCH 2015 LUCKY WINNER!!! 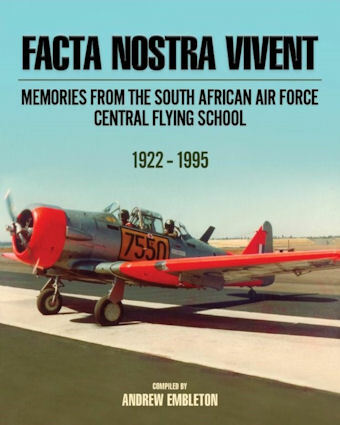 At the end of March 2015 one of our readers will be the lucky winner of the book "FACTA NOSTRA VIVENT" by Andrew Embleton so keep sending us your comments and feedback to info@pilotspost.com to stand a chance of winning this fabulous part of our South African history. The book covers the early days of flying training in South Africa with interviews with early cadets like Judge Margo and Dr.A.D.Wassennaar. Fritz Johl talks about training in the SAAF from his wealth of knowledge. There is a section on both pupil and instructor training and comments from men who were there. Flying the Harvard is discussed by various pilots and comparison with the jet Impala Mk I is made. There are descriptions of Zwartkop, Dunnottar and Langebaanweg which was the last location of the CFS. Over 100 personal contributions were made including some from Commanding Officers like B.J.L. Boyle, Tienie van der Kaay, Ben Vorster and Peter "Crow" Stannard. Well known airmen like Des Barker , Monster Wilkins ,Scully Levin, Karl Jensen, Steyn Venter, Gerrie Radloff, Martin Rutsch, Hobart Houghton, Dave Upfold , Hermann Olmesdahl , Anton Kriegler , Winston Thackwray and historians like Graham du Toit, Steve McClean, Dean Wingrin all helped with memories or answered questions. Several people who grew up at Dunnottar remember the station as civilians. Two long serving Air Traffic Controllers write about their experiences in handling a very busy airfield with sometimes confused pupils. Memories from some of the Lines book are there and the last days of both Dunnottar and Langebaanweg are recorded. A section of pupes course badges reflects the spirit of the courses in later years. John Austin Williams and Alan Taylor, both highly knowledgeable men assisted in supplying details about the Harvards today. 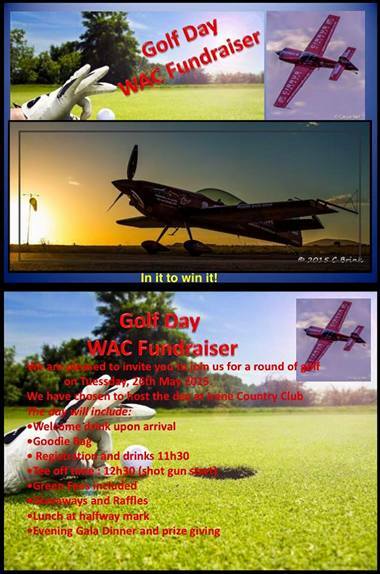 Golf day 19 May 2015 at Irene Country Club in Centurion. Join us for a fun day. 30 four balls available. Sponsors and prizes needed and very welcome. March 25 1993 - The first woman Concorde pilot makes her first flight as First Officer of the daily supersonic London-New York route. British-born, Barbara Harmer, is one of only 17 co-pilots in the British Airways Concorde fleet. March 25 1944 - A British twin-engined aircraft lands on an aircraft carrier for the first time when Lieutenant Commander E. M. Brown lands a navalized de Havilland Mosquito VI on the British carrier HMS Indefatigable. March 26 1949 - The Sunkist Lady flies an endurance record of 1,008 hours and 2 min or just a couple of minutes over 42 days. The flight was the duo's fourth attempt at breaking the 726-hour record set in 1939 by Long Beach pilots Wes Carroll and Clyde Scliepper. Their first three attempts failed because of mechanical problems. The plan was for the Lady to travel from Fullerton to Miami and back. The Lady would then stay aloft over Southern California until the record had been broken. At airports along the route, the ground crew would land, board Willys Jeepsters, and race along the runway while the Sunkist Lady passed low overhead. Three-gallon cans of gasoline and food would then be passed up to the pilots. March 27 1970 - Concorde makes its first supersonic flight. March 27 1918 - Attacked by German planes, bomber pilot Alan McLeod is strafed from below: Three bullets strike him and others puncture his fuel tank, setting his plane on fire. Lt McLeod climbs onto the lower left wing and steers the plane to a crash landing between the front lines. He pulls his gunner out of the wreck into a fox hole, from which they are rescued. March 31 1903 - Richard Pearse is reputed to have made a powered flight in a heavier-than-air craft, a monoplane of his own construction, that crash lands on a hedge. This date is computed from circumstantial evidence of eyewitnesses as the flight was not well documented at the time. The machine made a flight claimed to be around 150 feet (45 m) on his farm at Upper Waitohi, near Timaru in south Canterbury, New Zealand. Washington USA: A Denver-bound flight returned to Dulles International Airport Monday evening after a passenger caused a disturbance. Yuma, USA: A training aircraft that hit a vehicle and killed the Marine inside at an Arizona military air station on Wednesday lost control during takeoff. Lagos, Nigeria: Indigenous carrier, Arik Air, risks being sanctioned by the Nigerian Civil Aviation Authority (NCAA) over the dead stowaway man found in the main wheel of its Airbus A345-500. Barcelona, Spain: A Ryanair flight was forced to make an emergency landing after a fire extinguisher in the cockpit suffered a fault. Orlando, USA: A Robinson R44 helicopter crashed into a Orlando home home Sunday afternoon, killing the pilot. France: A Germanwings Airbus A320 plane carrying at least 148 people crashed Tuesday in mountainous south eastern France. 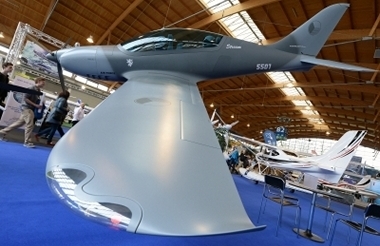 The European Business Aviation Convention & Exhibition (EBACE2015), scheduled for May 19 to 21 in Geneva, Switzerland, promises to build on the success of previous years' shows with an expected sold-out static display area, a wide range of mock-ups and a new unmanned aircraft systems (UAS) exhibits area. "We anticipate another sold-out static display with upwards of 60 aircraft," said Joe Hart, NBAA's director of static displays. "This year's line up of aircraft on display includes every major business aviation manufacturer, offering attendees an opportunity to view aircraft features side-by-side." To date, manufacturers confirmed to have aircraft on display include Bombardier, Cirrus Aircraft, Dassault Falcon, Embraer Executive Jets, Nextant Aerospace, Pilatus Aircraft Ltd., and Textron Aviation. Attendees will also have an opportunity to see mock-ups of several aircraft including the Bombardier Global 7000, Falcon 5X, Bell 505 and HondaJet in the Palexpo exhibit hall. This year's static display will also feature dozens of pre-owned aircraft available for potential buyers' consideration. "Although EBACE focuses on the unique challenges and opportunities of the European business aviation community, it attracts attendees from all over the world," said Hart. "Attendees come from as far as Africa, Asia, the Middle East and North and South America, and many of those attendees are looking at aircraft purchase options. This year's static display will provide attendees with a one-stop opportunity to compare aircraft side-by-side." 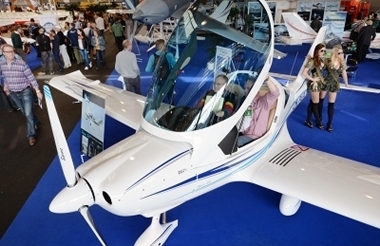 EBACE2015 will include an exciting new feature - an exhibit area for UAS manufacturers. This display will be located in the Palexpo exhibition hall and will allow attendees to see the capabilities and features of a wide range of UAS. "One highlight of EBACE is exploring new aircraft, equipment and technology," said Hart. "EBACE2015 promises to deliver a great experience for business aviation pilots, operators and potential buyers." 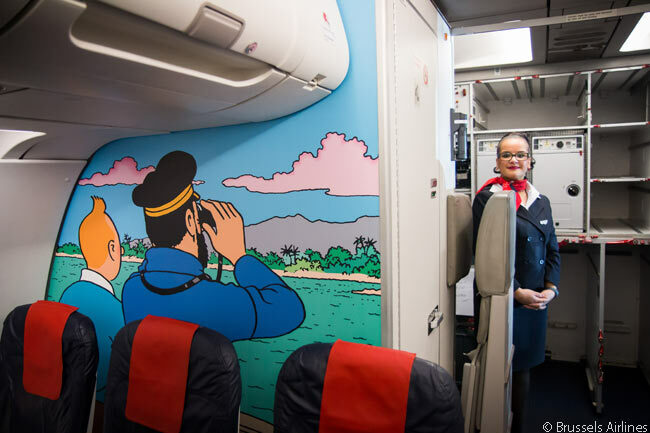 Brussels Airlines and design studio Moulinsart unveiled an Airbus A320 wearing a Tintin-themed livery, to honor Herg�, one of Belgium's most famous authors and artists. On its fuselage is the Twitter handle #SNRackham ('SN' is Brussels Airlines' flight code) and the A320's fuselage also bears the slogan "We fly you to the home of Tintin". As Belgium's flag carrier, Brussels Airlines already promotes Belgian gastronomy with its 'Belgian Star Chefs' in-flight meal program. It also offers a large number of Belgian products on board its flights and has partnered with the Belgian national soccer team The Red Devils (at least two of Brussels Airlines' aircraft, an A330 and an A319, are painted in a 'Belgian Red Devils theme livery). 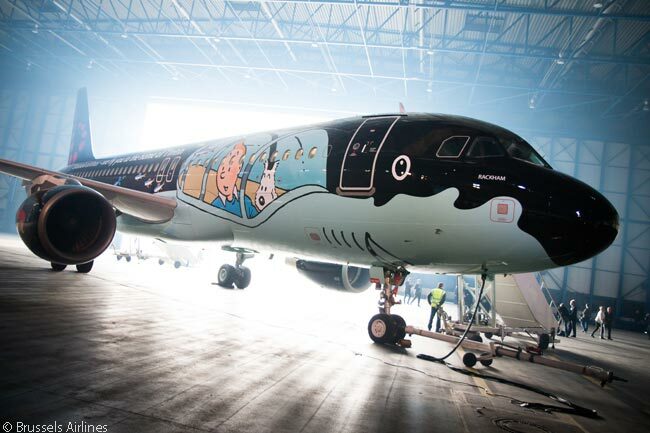 The special livery adorning the Brussels Airlines A320 named 'Rackham' features detailed paintings of Tintin and his dog Snowy The special livery adorning the Brussels Airlines A320 named 'Rackham' features detailed paintings of Tintin and his dog Snowy. Brussels Airlines also partners with Tomorrowland, which it says is the world's largest music festival, and has painted an Airbus A330 in a special Tomorrowland livery. Tintin is a historical Belgian comic-book character created by Herg� who travels the world on adventurous quests. According to Brussels Airlines, the legacy of Belgian cartoonist Herg� has never been translated on to the fuselage of an aircraft until now. According to the airline, Herg� himself was fascinated by aircraft: they are the most used means of transportation in the Tintin oeuvre and they were always drawn with great technical precision. Interior bulkhead in the special Tintin-themed Brussels Airlines A320 'Rackham' have been painted with Tintin color drawings Interior bulkheads in the special Tintin-themed Brussels Airlines A320 'Rackham' have been painted with Tintin color drawings. For the painting of the A320, Brussels Airlines worked with aircraft paint artist Andre Eisele, who had the task of adapting the perspective of the drawings prepared by Moulinsart's graphic designers to the unusual curves of an aircraft fuselage. The reason for doing this was to get as close to the original shark submarine design as possible. With Eisele working with Brussels Airlines maintenance technicians to paint the aircraft, the entire paint job took 1,500 man hours in total. After the unveiling on the morning of March 16, Rackham operated its maiden voyage in its new colors, a 1 hour and 45 minutes flight to Toulouse. Spotters, aviation enthusiasts and Tintin fans can follow the whereabouts of the aircraft on www.brusselsairlines.com and are invited to share their pictures tagged with #SNRackham. 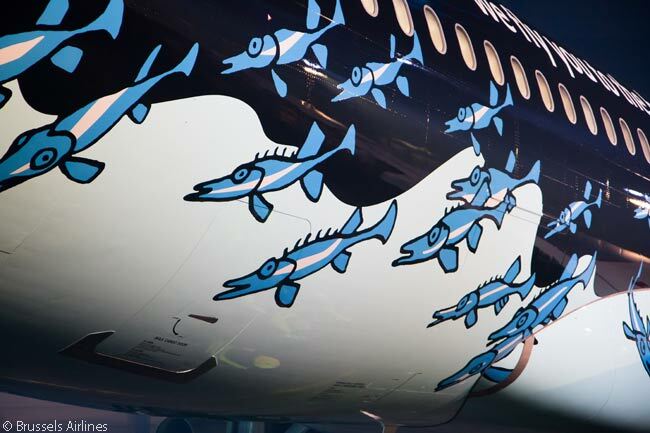 The special Tintin livery will remain on the A320 until 2019. The CAF's FIFI, P-51 Mustangs, and many more Warbirds will perform during themed air shows Wednesday through Saturday at EAA AirVenture Oshkosh 2015. Photo credit: Jim Koepnick. 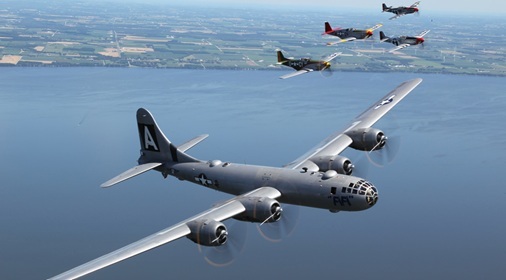 For warbird enthusiasts, it doesn't get much better than what EAA has planned for this summer's 63rd EAA fly-in and convention, EAA AirVenture Oshkosh 2015, scheduled for July 20-26. Hundreds of iconic military aircraft will take to the sky for the July 22-25 daily air shows with themed performances commemorating the Battle Britain, Victory in Europe Day (V-E Day), Victory over Japan Day (V-J Day), and the Vietnam War from Wednesday through Saturday. These newly confirmed warbird performances are updated slightly from what was previously announced. EAA's daily air shows as well as the Wednesday and Saturday night air shows are sponsored by Rockwell Collins. Starting on Wednesday, July 22, airplanes of the Pacific Theater of WWII will be featured, beginning with the return of Commemorative Air Force's "Tora! Tora! Tora!" air show recalling the December 7, 1941, attack on Pearl Harbor. Doolittle's Raid, the Battle of Midway, and the subsequent island hopping campaign will also be represented. The V-J Day tribute culminates with the world's only flying B-29 Superfortress, the Commemorative Air Force FIFI. The Pacific theme returns for the Saturday, July 25, air show. On Thursday, July 23, a special Battle of Britain 75th anniversary performance launches the air show followed by a tribute to the European Theater air campaign, featuring B-17 bombers, a variety of fighter and transport aircraft, and a Lancaster bomber. The Friday, July 24, warbirds air show will feature the airplanes and rotorcraft that flew in Southeast Asia in the Vietnam War. And all the aircraft will be on display in Warbird Alley allowing for closer inspection. For more information, including advance purchase for admission, camping, and parking, visit the AirVenture section of our website. A new exhibitor record, the premiere of the Aviation and Pilots Competence Center and the return of successful special shows combine to again make the 23rd AERO, taking place April 15-18, 2015, an essential event for pilots and anyone interested in general aviation. It is the aircraft that will be at the center of attention: The spectrum on display stretches from gliders and ultralights to single and twin-engine piston-driven aircraft, turboprops and business jets to autogyros and helicopters. 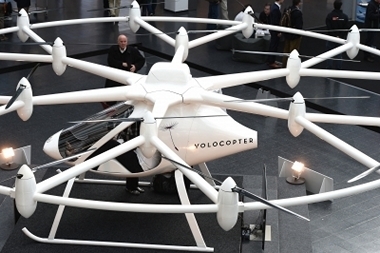 A second special exhibition, the Remotely Piloted Aircraft Systems Expo, will draw attention to unmanned civilian drones and their steadily increasing relevance in aviation. 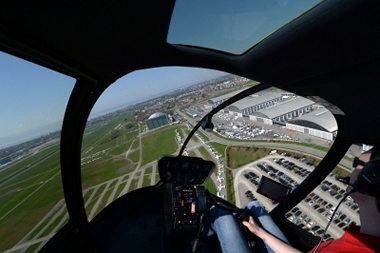 In addition, the well-established Avionics Avenue, e-flight-expo and Engine Area special shows will return to the AERO 2015 in Friedrichshafen. Project Leader Roland Bosch and Messe Friedrichshafen CEO Klaus Wellmann are looking forward to the AERO, which with more than 630 exhibitors is currently on track to see a new record. Exhibitors as well as visitors have reason to be optimistic: "The current situation of the industry is good, in my view. We can only speculate about what the effect of the current monetary policy will be. I hope that the visitors will prefer to invest their money in aircraft rather than in brokerage accounts," said a confident Roland Bosch. The fact that many aviation fans, unsettled by current finance policy, might be convinced to invest their money in objects with material value, such as new aircraft, engines, avionics and accessories, is one of the reasons for the good mood among AERO organizers. 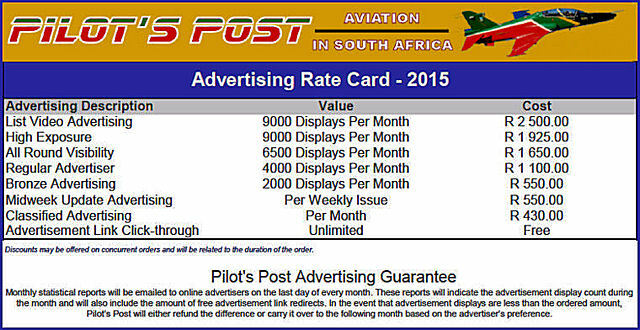 Another reason for the exhibitors' favorable business outlook is the drop in fuel prices, which has also been strongly felt in general aviation. 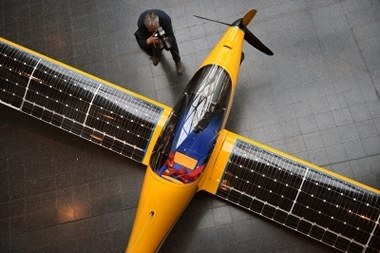 General aviation includes all civilian aircraft except the airlines; in the EU this encompasses about 200,000 gliders, ultralights, powered aircraft and helicopters. The tent city is now being offered at the AERO for the fourth year. Anyone who does not want to spend a lot of time looking for accommodations can spend the night in Hall A1 for a small fee. The tents themselves will be provided by the fairgrounds; visitors need only bring a sleeping bag. Tents for one or two people can be booked online starting in March. Opening hours of the AERO from April 15 to 18, 2015: Wednesday to Friday 9 a.m. to 6 p.m. and Saturday from 9 a.m. to 5 p.m.
Finmeccanica-Alenia Aermacchi signed a contract, valued at around 100 million euro, with the Peruvian Ministry of Defense to supply two C-27J Spartan tactical airlifters. The contract, which brings the number of C-27J Spartans ordered by the Peruvian Air Force to four, also includes integrated logistic support and technical assistance. The first two aircraft, ordered in December 2013, will be delivered to FAP in the first few months of 2015, while the second order will be delivered in 2016 and 2017. The aircraft will be operated by 8th Air Group based at Callao, on the country's central coast. The C-27J Spartan was chosen thanks to its ability to operate safely, efficiently and at competitive cost in all operational and environmental conditions in Peru, with the capability to operate on a large number of airfields, including the unprepared strips in the Andes. Sikorsky's newest commercial aircraft, the S-76D� helicopter, arrived in Malaysia, beginning the Southeast Asia leg of its demonstration tour. The international demonstration began at the SkyPark Aviation Center in Subang, Malaysia, and this week, the aircraft will be on display at the Langkawi International Maritime and Aerospace Exhibition (LIMA) '15 until March 21. Sikorsky is a subsidiary of United Technologies Corp. (NYSE: UTX). Sikorsky announced the international leg of the demonstration tour earlier this month at the 2015 Helicopter Association International Heli-Expo show in Orlando, Florida. The two-month long tour has several stops in Malaysia, Indonesia and Thailand, allowing Sikorsky customers to experience the S-76D helicopter's smooth ride and quiet cabin, operate the state-of-the-art cockpit technology and utilize the aircraft's features designed for safety, power and reliability. "Sikorsky is tremendously excited to bring the S-76D helicopter to Southeast Asia," said Shawn Cornell, General Manager for Southeast Asia. "We are honored to have a long standing history in the aviation sector here in Malaysia, Indonesia and Thailand and are strategically focused on expanding our presence in the Association of Southeast Asian Nations (ASEAN). The S-76D comes from a long standing lineage of proven and trusted helicopters. The expansion and need of rotary wing aircraft in the ASEAN region is growing and the S-76D aircraft is poised to fit roles in the offshore oil, VIP, search and rescue and emergency medical services missions." 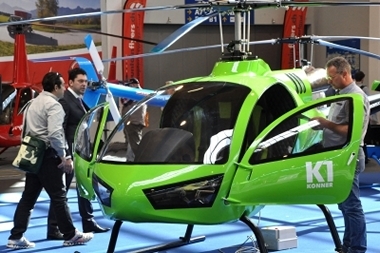 The new generation S-76D helicopter, through its application of modern technologies, is designed to provide a substantial increase in performance, power and value. The S-76D helicopter's baseline equipment includes powerful and efficient Pratt & Whitney Canada PW210S engines; an advanced THALES TopDeck� integrated avionics system and four-axis autopilot; Health and Usage Monitoring System (HUMS) incorporated into fleet monitoring and analysis; active vibration control; and all-composite, flaw-tolerant main rotor blades.